Ah, spring break! Great weather, outdoor fun in the sun, patios, adventures and of course, kickin’ back! 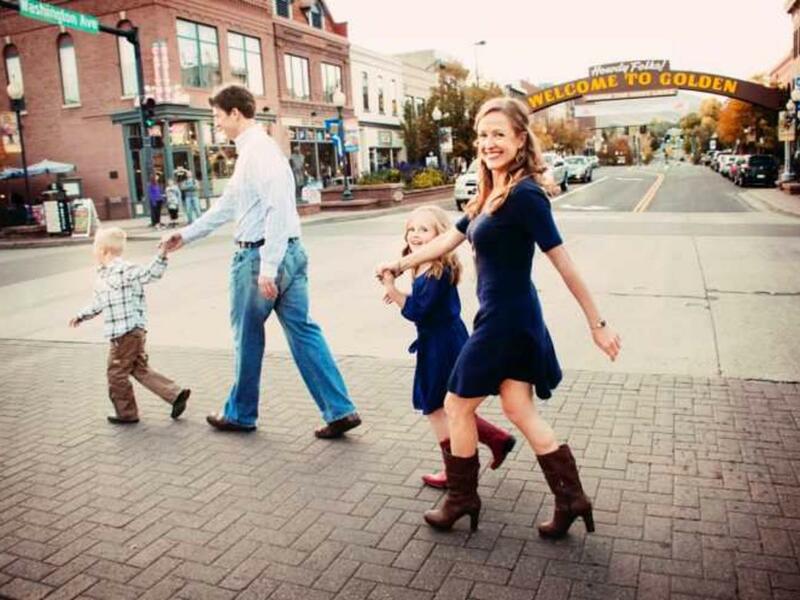 Whether you are a busy parent searching for something fun for the family or are longing for your carefree spring break days, Coloradans are lucky that they don’t have to go anywhere! You can have all the relaxation and fun that spring break offers in Golden, Colorado. 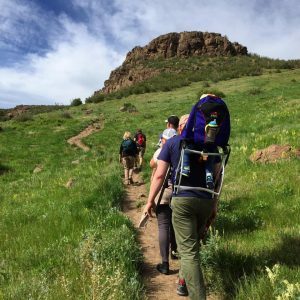 Barely 15 minutes from downtown Denver, here are 10 ways to make the most of a spring break staycation in Golden: Hike, Bike or Learn to Climb in the Colorado Sunshine – Springtime in the Rockies can be – well, a snowy, muddy mess. But Golden is in the “banana belt” where the mountains meet the plains, making it the perfect place to get a jump start on summer mountain recreation. North and South Table Mountain receive lots of sun and offer snow-free trails most of the year, perfect for hiking. You can bike Lookout Mountain, the Front Range’s most iconic hill climb. Or learn to rock climb with Golden Mountain Guides. 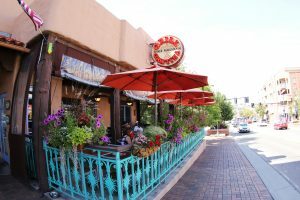 Walk Clear Creek & Grab Lunch in Golden – Golden is a town that was made for walking! The beautiful Clear Creek walking paths offer gorgeous mountain views and plenty of spots to sit and watch the kayakers paddle by. Afterwards, walk into town and grab lunch at D’Deli – or better yet, start there and bring your delicious sandwiches down to the creek to enjoy creek side with your first picnic of the season. 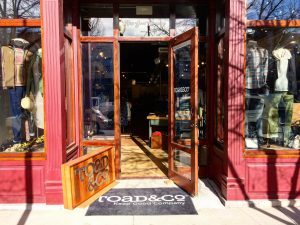 Shop ‘til you Drop – Golden’s downtown shopping has transformed into a hip little collection of outdoor gear shops, one-of-a-kind fashions, jewelry, art, Native American and Southwest designs, and outdoor fashions. Don’t miss Creekside Jewelers where you can browse a selection of fine jewelry and Native American and Southwest Designs or Toad & Co., a new outdoor lifestyle apparel store. If you have little ones, you simply must stop into Golden Goods to reminisce about the vintage toys and marvel over modern puzzles. Enjoy a Patio: Golden is completely surrounded by mountains, buttes and views, so it’s the perfect place to sit at a patio, listen to some music and see and be seen. Some of the best patios? The huge deck and fountains of the Sherpa House, the center of the action patio at Woody’s Pizza, the outdoor deck of Mountain Toad with food trucks and dogs welcome, Charlie’s backyard at Golden City Brewery (the brewer lives in the house – you are literally in his backyard), the long deck along Clear Creek at the Golden Hotel’s Bridgewater Grill where you can watch kayakers and rafters, and the Buffalo Rose patio, which usually has live music on the weekends. 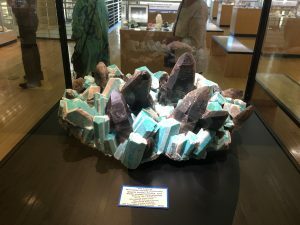 Dazzle at the Colorado School of Mines Geology Museum – With shiny gems that dazzle, fossils to educate, and even a moon rock to inspire, your little one - and your budget - will love the free Geology Museum. All Aboard at the Colorado Railroad Museum -- There are dozens of locomotives and cars to climb on and explore, and the basement of the museum is one of the largest model railroad displays in the state – an entire city of miniature trains with a circus, fire engines, mining camps and hundreds of buildings and figures to explore. Throughout the spring, there are special steam excursions, which give kids a chance to see real steam engines, smoking and blowing whistles, just like Thomas. Get your Whiskey On – What’s spring break without a libation or two? Visit State 38 Distilling’s new downtown Tasting Room open daily at 1123 Washington Avenue, adjacent to the Buffalo Rose. Featuring an 1876 theme, you can enjoy tasting flights of Agave Spirits, Vodka, Gin and Whiskey, as well as high end craft cocktails. Golden Moon Speakeasy celebrates its third birthday at the end of March. This gorgeous Golden cocktail lounge is a bit tucked away, but worth the search. Pub Crawl in The World’s Largest Little Beer Town - Golden brews more beer than any other city in the world. Start with a free tour at Coors Brewery – the largest single brewing site in the world, than head to Golden’s six (count ‘em, six!) craft breweries, three of them within walking distance of Coors. 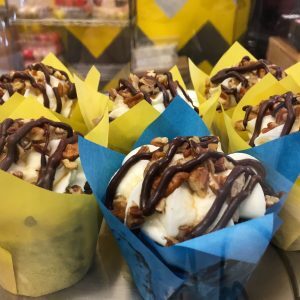 A Tasty Golden Tour - Sample a variety of food and drinks from local restaurants, breweries, and distilleries at the 4th Annual Taste of Golden, a showcase of local cuisine, distilleries, and breweries on March 27th. If you can’t make the event, you can surely sip and dine your way through town. Be sure to stop into the newest restaurants Miners Saloon and Trailhead Tap House.